Robinson Van Noort was founded in 2001 by Ali and Carolyn Robinson. 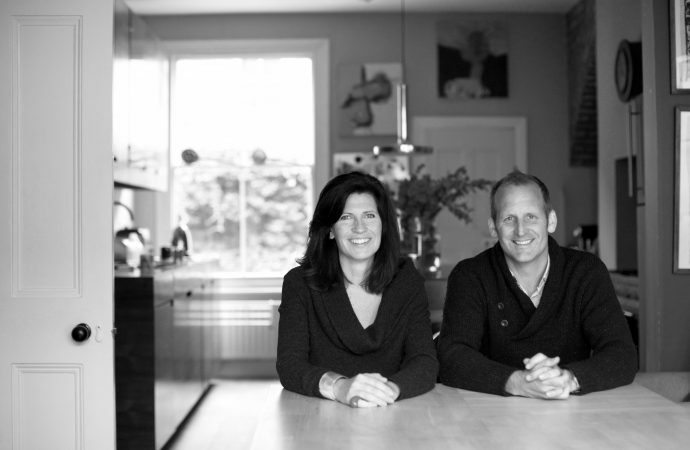 Robinson Van Noort provides a layered, intertwined and holistic design service. The studio’s emphasis is on space and form, a valuation that oscillates between the interior and exterior’s look, feel and function, according to the designers. 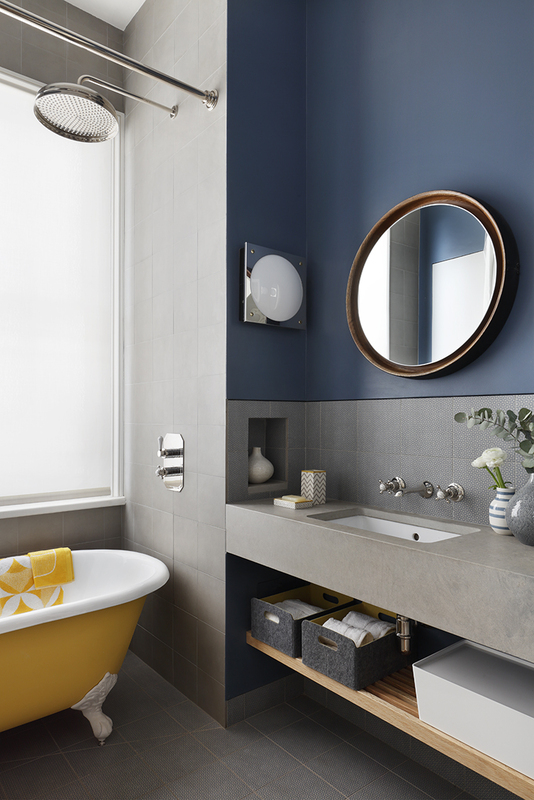 The projects straddle all sectors, designing one off furniture and full architectural services for a new build or prime, central London refurbishment. Having studied Fine Art at The Ruskin, Oxford University, Alister Robinson continued making art from 1993 until co-founding the studio in 2001. He has recently completed a collection of furniture and concept structures, which are launching this June. 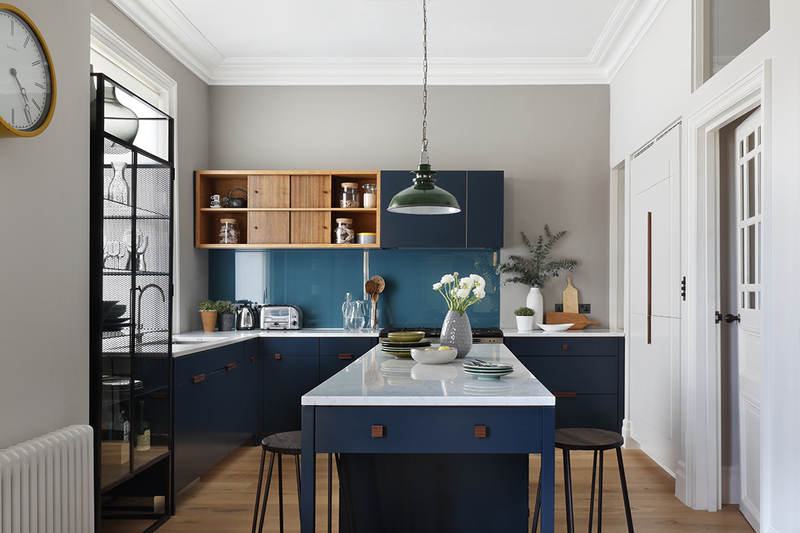 After studying design at The Inchbald, Carolyn Robinson worked for a number of architects and interior designers from 1995 before co-founding the studio in 2001. She has recently produced a textile collection that will be available in September 2017. Here, Ali and Carolyn both take the design seat and discuss their design backgrounds and main crafts, as well as the ethos of Robinson Van Noort as a studio. Ali: I remember drawing medieval castles as a very young child. Although I didn’t fully understand their function, it was clear they were designed to protect. The design of the walls, ramparts, moat and turrets are obviously fit for purpose and yet are so beautiful as well. Carolyn: I remember my childhood home in Holland where my parents went to town with a full 1970’s style make over. Brown corduroy velvet egg chair, Large pink and brown flower patterned curtains and orange metal dining chairs. However I didn’t appreciate it at the time and in my early teens convinced them to sell the furniture that still existed, such a mistake! I recently found the identical chairs on a midcentury modern website selling for £350 per chair and they looked amazing! We do still have some of the lights, which we now have dotted around the house, which are fantastic. Where did you both study design and what did you specialise in? Ali: I studied fine art at the Ruskin, Oxford University, specialising in painting and immediately after university made performance art, abstract sculptures and videos. 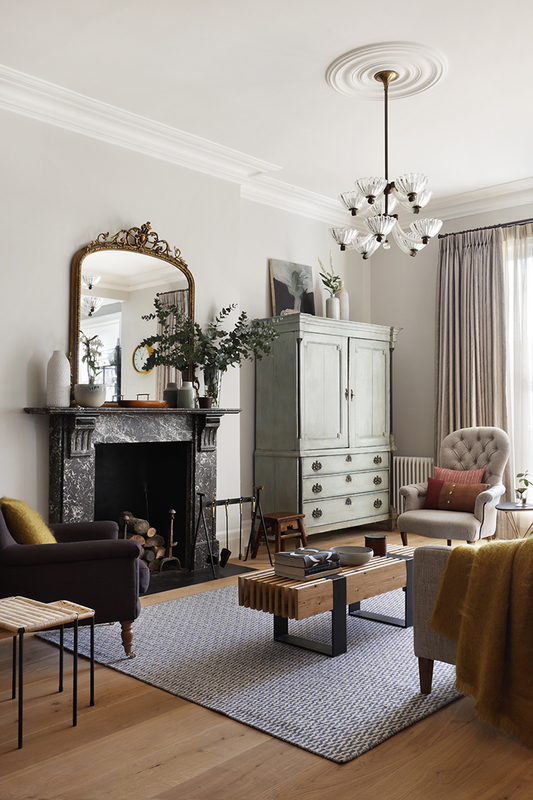 Carolyn: I studied at the Inchbald school of Art and Design, specialising in Interiors. Carolyn: I think it has changed dramatically. When I choose to study interior design there really weren’t that many options on where to study. Now there are now so many excellent full time BA courses covering, in greater depth, all aspects of interior architecture and design. I think students leave with a much better knowledge and skill set than I did. What size team are you and what are the key characteristics you look for when bringing new talent into your studio? Ali: We have recently downsized from a larger studio that worked in multiple sectors and now concentrate predominately on high-end residential architecture and interior design. We are now a team of six and are recruiting at present. After checking basic competencies we are looking for a ‘yes can do attitude’. We predominately employee architects or interior designers but sometimes we have taken on someone who wants to move from another design discipline. What kind of designers did you aspire to be? Ali: Designers that make a difference; we want to emotionally engage, encouraging people to consider their environment and find beauty in both the every day and in the arts. Carolyn: I think residential design and working with an individual client is such a personal thing and we like to encourage them to go on a journey with us. Ultimately we want to create something beautiful and special that we love and are proud of, however they are the ones who have to live in the space so they really must feel personally connected to it. Ali: There are hundreds of artists, designers and architects that inspire us! From Brice Marden and Giorgio Morandi to Jean Baptiste Simeon Chardin; from Joe Colombo and Verner Panton to Thomas Sheraton; and from Caruso St John and Watson Mann to Mauro Codussi. How would you define Robinson Van Noort’s design style? Ali: Celebrating period and contemporary design within a framework built by the constraints faced in today’s society. Always developing, never still. Carolyn: I guess this tends to create quite an eclectic look but I feel it works well when you choose the best pieces and the most beautiful. Which incidentally isn’t always the most expensive. What was the first professional design commission for the studio? Ali: Our first commission was to design and contract administrate an extensive refurbishment of a masionette in Queensgate Garden, Kensington. We obtained planning consent to satisfying national heritage and restored two floors that had been insensitively carved up in the 1950’s before making our RVN mark. Ali: Prior to our specialisation in residential work it was The Princes Club, a tennis, golf and polo resort in Agadir, Morocco. Since our specialization, it has been the co-joining of two substantial town houses in West London, basement excavation, additions and significant reconfiguration before a full interior design service. Where is the majority of your work based and what would you say you have become known for? Ali: Our work is mostly in London and the immediate environs. 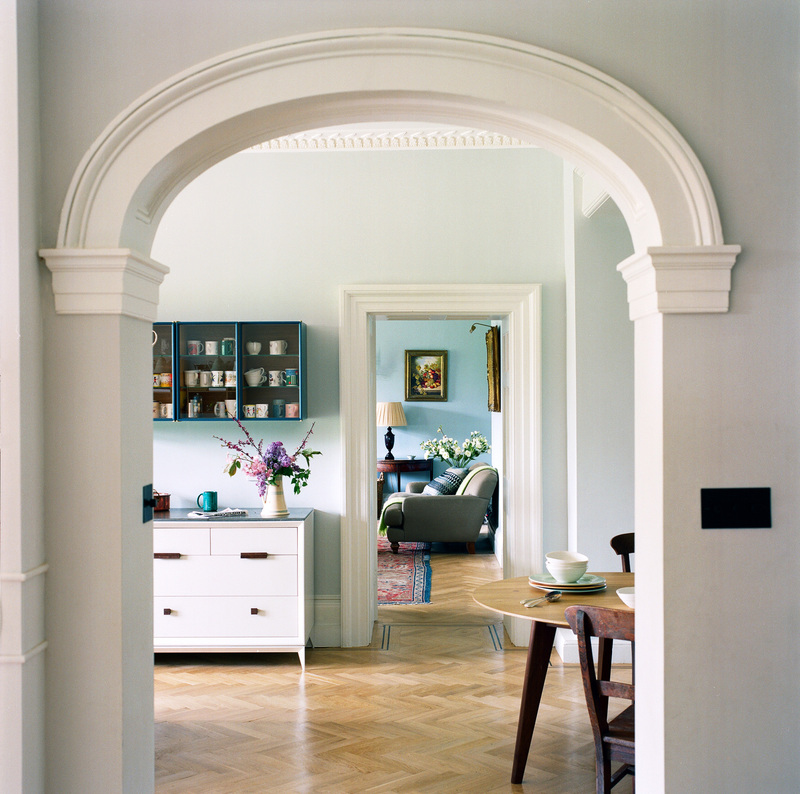 We are most known for bespoke joinery, furniture and our attention to detail. Have you ever worked or lived anywhere else and how has this helped to shape and influence your ideas on design? 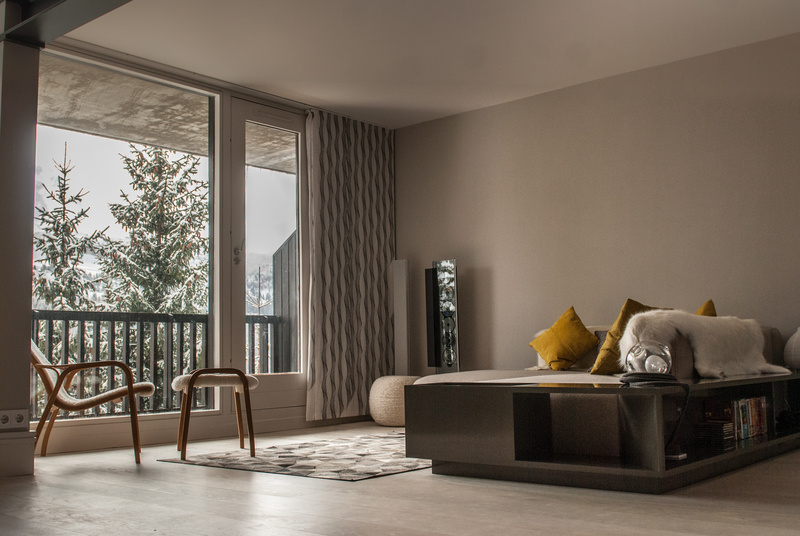 Ali: We recently completed a project in Flaine, the French Alps. This was a purpose built ski resort, designed by Marcel Breuer in a ‘brutalist’ manner and inaugurated in 1969. The faceted concrete forms throughout the resort influenced both our interior design forms and choice of materials. How have clients’ expectations of design and the work designers do changed in recent years? Ali: Since 23rd June 2016, the Brexit referendum determination date, our clients are taking longer it seems, to make a decision. It is therefore becoming common for us to produce a concept design and then wait sometime before moving onto the next phase of work. One needs to be careful therefore not to over gear your human resources. I do not see any change in our client’s expectations of what we do day-to-day. We continue to offer an exemplary holistic design service. If you hadn’t become interior designers what would you be doing? Ali: A professional sportsman or artist. Carolyn: I imagine I would still be working in some sort of creative industry. I love using my hands to make things. I’m currently in the process of developing my own textile collection, which I’m thoroughly enjoying, so maybe I would have by passed studying interior design and continued with being a textile designer all those years ago.